Taryn R Hutchison | Writer. Speaker. Storyteller. Global adventure magnet. I certainly do. Especially when the adventure has a purpose, maybe even an eternal purpose. I believe life is an adventure – one to be fully lived and shared with others. Sometimes it’s dramatic (in good ways and bad), but mostly, it’s about perspective. Seeing the humor when things don’t go as planned. Leaning on God when difficulties come unbidden. Finding traces of the divine woven throughout the little things. I’m glad you dropped by for a visit. Pour yourself a cup of coffee and come join the adventure with me. You can find out more about my debut book, read my blog, and let me know your thoughts. Inspiring and with humorous moments, We Wait You is the real-life story of hearts transformed after the 1989 revolutions that forever changed Eastern Europe, as told by one woman who made a difference. A new book by the women of Redbud Writers Guild, Everbloom: Stories of Deeply Rooted and Transformed Lives, contains one of my stories! You can also purchase a copy at Amazon. 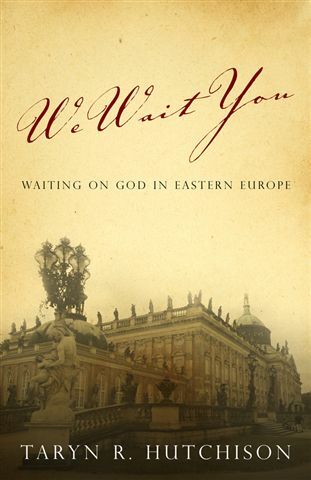 A new edition of We Wait You has been released! When you purchase, be sure to click on the edition published in 2014 by Trusted Books.